Along the SP road 25 going around Mt. Capanne, you will reach Pomonte country hamlet. From the main square of the small town, crossed by the SP road, Via San Bartolomeo branches off crossing the town with a series of stairs rich in ornamental vegetation, to reach the ring road. From this road, trail no. 4 leading to Colle San Bartolomeo leaves. 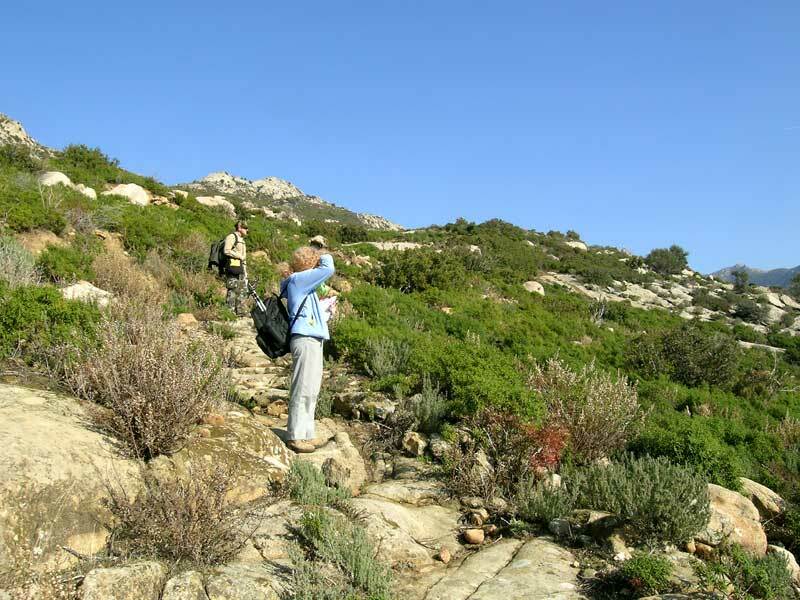 The trail leaves after a short time the inhabited spurs to climb towards an area characterized by an ancient agricultural tradition.